Gardai in Tipperary stopped a tractor and trailer with an unsecured load this week with the driver of the tractor now facing a court appearance. Cahir Gardai stopped the tractor and trailer and said there were a number of defects with the driver of the trailer now facing a day in court for the unsecured load. After posting a picture of the offending trailer load on Twitter, reaction to the trailer load of stakes was mixed, and some people were not impressed that the tractor driver faces punishment. Others though took the opportunity to use their wit, with puns such as ‘He probably pleaded it was a Mis Stake’ while others wondered if there was a vampire hunt underway somewhere! 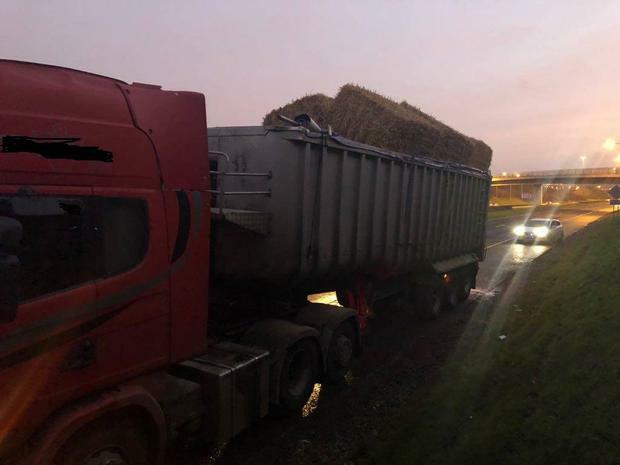 Gardai have warned road users, including farmers, about unsecured loads in recent months after incidents including straw bales coming off trailers when they hit low bridges. The Gardai have advised members of the public to alert them to unsecure or unstable loads.